Full List of University of Ilorin (UNILORIN) Courses, UTME and SSCE Subjects Combination for each. Below are list of faculties and departments in the University. Each course has its own O'level subjects required at the same time UTME subjects perfect for the course. Undertaking this will help you whether to do change of institution or course before it's too late. The same details are available in the JAMB Brochure. But it's well detailed here as sourced directly form the official page of the university. (i) A’ Level passes in Physics, Chemistry and Biology. Five O’Level Credit passes in English Language, Mathematics, Physics, Chemistry and Biology. (i) UNILORIN accepts minimum aggregate of 13 Points. B.Sc. (Second Class Honours, Upper Division) in Anatomy, Biochemistry, Microbiology, Physiology, Zoology. (i) UNILORIN requires five O’Level credit passes at only one sitting. (ii) UNILORIN requires a Minimum UTME Score as determined by the University Senate. NURSING (i) Registered Nurse(RN) Certificate in addition to UTME requirements. AGRICULTURAL EXTENSION AND COMMUNITY DEVELOPMENT (i) At least 5 O-level WAEC, SSCE, GCE Credits at not more than two sittings in the following subjects: English Language, Mathematics, and any other three from Biology or Agriculture, Chemistry, Physics, Geography, Economics, Food and Nutrition and Home Management. and (ii) A Higher National Diploma (HND or equivalent) in Agriculture or related field of study with a minimum of lower credit from a recognized institution in Animal Husbandry, Agricultural Extension and Rural Sociology, Agricultural Economics and Farm Management, Food Science, Home Economics, Fishery, Forestry and Wildlife, etc; will be admitted into 300 level. The entry point is at the 300 level. AQUACULTURE AND FISHERIES (i) A’ level passes in Chemistry, Biology and at least a pass in any of Physics, Geography and Economics. (ii) OND/ND in Fisheries, Agriculture or related disciplines with at least lower credit grade plus five 'O' level credits in English Language, Mathematics, Chemistry, Biology, Fisheries or Agric. Science and any other from Physics, Geography and Economics. (i) HND in Fisheries, Agriculture or related discipline from NBTE Accredited Institutions. 5 O’level credit passes at not more than two sittings including English Language, Mathematics, Chemistry, Biology, Fisheries or Agric. Science and any other from Physics, Geography and Economics. English Language, Mathematics, Chemistry and one of Biology and Agricultural Science. OND in Agriculture/Catering Hotel Management and Food Science, Consumer Science, Hospitality and Tourism Management, Event Management with at least Lower Credit grade from recognized tertiary Institutions. Plus U.M.E. entry requirements. Biology/Chemistry/Home Economics or Agriculture/Food and Nutrition, Home Management, Clothing and Textile. Credits at SSCE/NECO/GCE ‘O’ Level, NABTEB or equivalent at least 5 subjects including English Language, Mathematics, Chemistry, Biology/Agric. Garment Making, Catering Craft practice, Clothing and Textiles. Dyeing and Bleaching, Home Management, Jewelry, Leather work, Printing and Decoration, Printing craft Practice, Tourism. English Language, Biology. Chemistry and any of the following: Agric. Science and Economics. Candidates with a pass in Biology, but who have credit in Agric. Science, Food & Nutrition / Home Management may be considered. GCE ‘A’ Level or equivalent in Chemistry plus at least One of the following subject; Biology/Botany/ Zoology/Agric. Science/Economics/Mathematics plus U.T.M.E. entry requirements. Credits at SSCE/NECO/GCE ‘O’ Level, NABTEB or equivalent at least 5 subjects including English Language, Mathematics, Chemistry, Physics, Food and Nutrition and Biology/Agric. English Language, Biology/Agric. Science, Chemistry and any of the following: Physics, Mathematics and Economics. i) Candidates with a pass in Biology, but who have credit in Agric. Science may be considered. (ii) Ordinary pass in Physics is acceptable in lieu of Credit Pass. FORESTRY AND WILDLIFE At least two ‘A’ level passes in Chemistry and one of Botany / Biology / Zoology; Geography; Economics; Mathematics with minimum of 5 points. Botany and Biology will not count as two subjects. Five ‘O’ level credit passes at not more than two sittings to include; English Language, Mathematics, Chemistry, Biology/Agricultural Science; and any of Geography and Economics, with at least a pass in Physics. English Language, Chemistry, Biology/Agricultural Science, and any of Geography, Economics, Physics and Mathematics. i) OND/ND (Forestry/Wildlife) or related field with minimum of Lower Credit from recognized institutions into 100 level. ii) HND (Forestry/Wildlife) or related field with minimum of Lower credit may be admitted into 200 level. iii) NCE Agriculture double major at Credit Pass level may be admitted into 200 level. COMPUTER SCIENCE UTME qualifications plus (i) or (ii). (i) At least two A’ level passes in Mathematics, and any of Physics and Chemistry. (ii) Diploma in Computer Science. UNILORIN accepts ND Upper Credit or HND Lower Credit in Computer Science. A’ Level or equivalence with a minimum of two relevant subjects from Mathematics, Physics, Chemistry, Biology/Agric. Science, Economics and Geography. Five (5) O’Level credits in SSCE/NECO/GCE or equivalent to include English Language and Mathematics; and at least three other subjects from Physics, Chemistry, Biology/Agric. Science, Economics, Geography, Computer Studies/Data Processing. Upper Credit in the National Diploma (ND) in the physical sciences and engineering disciplines may be considered. LIBRARY AND INFORMATION SCIENCE (i) Two A’ Level passes in relevant subjects with O’Level Credit passes in three other subjects from Arts/Social Science/Science. (ii) Three (3) passes in any subject area at Advanced Level with SSCE/GCE O’level Credit Passes in two other subjects from Arts/Social Science/Science. (iii) National Diploma (Upper Credit) in Library and Information Science from recognized polytechnics. (iv) Diploma at Credit level in Library and Information Science from recognized universities. Five O’level credit passes credits in SSCE/NECO/GCE to include English Language, Mathematics and three other subjects from Arts/Social Science/Science. Any three subjects from Arts/Social Science/Science. MASS COMMUNICATION UTME qualifications plus (a) or (b). (i) National Diploma (at Upper Credit) in Journalism, Mass Communication, Public Relations and Advertising. TELECOMMUNICATION SCIENCE UTME qualifications plus (a) or (b). (i) Two “A” Level Passes or equivalent in Mathematics, Physics and any one of the following Chemistry, Biology and Geography. (ii) Upper Credit in the National Diploma (ND) and a minimum of one-year post qualification Industrial attachment in the physical sciences and engineering disciplines. Five O-level credits in SSCE/NECO/GCE including Mathematics, English language, Physics, Chemistry and any of Further Mathematics, Technical Drawing, Economics and Geography. English Language Mathematics, Physics, Chemistry. (i)UNILORIN accepts Unilorin Diploma and other relevant Diploma: BUK, KWASU, ABU. (This satisfies both A/L and O/L admission requirements by Direct Entry). (ii) Candidates who do not offer Arabic at UTME but meet UTME. entry requirements may be considered for admission into 100 level. (iii) Unilorin accepts candidates with Senior/Higher Islamic Studies Certificates as entry qualification for Arabic Studies and related programmes. At least two A’ level passes/NCE to include Christian Religious Studies/Religious Studies and any other Arts/Social Science Subject. Five O’level credit passes in English Language, Mathematics and any two other relevant subjects. Christian Religious Knowledge and any other two Arts or Social Science Subjects. UNILORIN accepts Diploma in Religious Studies or Theology of London or an accredited Nigerian University. (i) At least two A’ level passes in Christian Religious Studies or Religious Studies or Islamic Religious Studies and any other Arts/Social Science/ Science Subject. Five O’level credit passes to include English Language, Mathematics, Christian Religious Knowledge/ Islamic Religious Studies and any other two Arts/Social Science/Science Subjects. Christian Religious Knowledge or Islamic Religious Studies and any other two Arts/ Social Science/ Science Subjects. 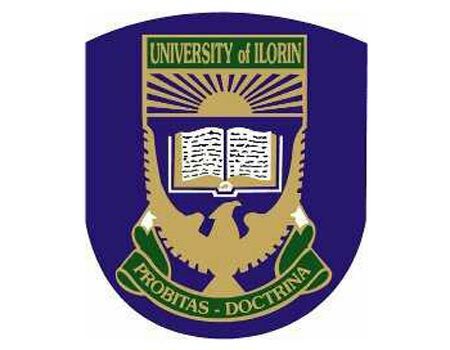 UNILORIN accepts Diploma in Religious Studies or Theology of Ibadan, London, or any accredited University in Nigeria. UNILORIN accepts candidates who do not have Christian Religious Studies or Islamic Religious Studies but who meet other UTME entry requirement. At least two A’ Level passes to include Literature-in-English and one other Arts or Social Science Subject. Literature-in-English, English Language, Mathematics and any two Arts/Social Science Subjects. Literature-in-English, one other Arts subject and another Arts of Social Science subject. UNILORIN accept NCE with English major. UNILORIN accepts any Arts/Social Science Subject. At least two A’ level passes including French and one other Arts or Social Science Subject. Five O’level credit passes in French, English Language, Mathematics and two other Arts/Social Science Subjects. UNILORIN accepts NCE (Credit Level) with French as major subject and Diploma with French as Principal subject. (i) UNILORIN accepts Social Science Subjects. (ii) UNILORIN accepts ND with French as principal subject. Five O’level credit passes to include English, Mathematics, History/Government and any two Arts/Social Science Subjects. (ii) NCE (Merit Pass) History/Govt. major. UNILORIN requires five O’level credits in English Language, History/Government plus three other Arts/Social Science Subjects. UNILORIN accepts Government in lieu of History. Five O’level credit passes to include English Language, Mathematics, Islamic Religious Studies or Arabic and any two Arts/Social Science Subjects. (i)UNILORIN accepts relevant Diploma of Bayero University, Kano (This satisfies both A/L and O/L admission requirements by Direct Entry). (ii) Candidates who do not offer Islamic Religious Studies at UTME. but meet UTME. entry requirements may be considered for admission into 100 level. (iii) Unilorin accepts candidates with Senior/Higher Islamic Studies Certificates as entry qualification for Islamic Studies and related programmes. Five O’level credit passes including English Language,Mathematics, one other Language and any two Arts/Social Science/ Science Subjects. Any Language and two other Arts/Social Science/Science Subjects. (ii) UNILORIN requires A’ level or NCE subject in Arts, Social Science or Science provided not more than one of the Subjects is in Social Science. (i) UNILORIN requires O’level credits passes in Arts and Social Sciences. (ii) UNILORIN requires at least one Nigerian Language or Lit-in-English and one other Arts Subject. UNILORIN requires one Art Subject and any two subjects from Arts/Science/Social Sciences. (iii) Diploma in Theatre Arts/ Dramatic Arts/Journalism/ Architecture/Environmental Design/Mass Communication/ Law/Music/Fashion Design. Five O’level credit passes to include English Language, Mathematics, Literature-in-English and any two Arts/Social Science/Science Subjects. (i) UNILORIN requires A’ level candidates to pass English and Lit-in-English at credit levels. (ii) UNILORIN requires holders of Diploma in Theatre Arts or Dramatic Arts to pass Literature-in-English at credit level. UNILORIN accepts ABRSM Grade V and above (Music Theory) or equivalent certificate in lieu of credit pass in Lit-in-English. Yoruba and any other Arts/Social Science Subject. Five O’level credit passes to include Yoruba, Mathematics, English Language, and two other Arts/Social Science Subjects. Yoruba and two other subjects in Arts/Social Science. UNILORIN accepts NCE/Diploma (Upper Credit) in Yoruba and Social Science Subjects. UNILORIN accepts candidates who do not offer Yoruba (Language/Literature) but meet other UTME entry requirements. (i) A’Level IJMB or approved equivalent Pass in Mathematics, (Pure or/and Applied), Physics, and Chemistry with a minimum of 10 points. (i) First Degree from Physical Sciences at Second Class Lower Division may be admitted into 200 Level. (ii) HND in relevant Engineering discipline at Distinction or Upper Credits level from recognized Polytechnic or College of Technology after NYSC may be considered for upgrading to 300 Level. (iii) First Degree Honours in Engineering discipline may be admitted into 300 Level of any other Engineering programme. Candidate who passed Further Mathematics and Technical Drawing at Credit levels stand at an advantage. Foundry Engineering Technology, Glass/Ceramics Technology, Water & Environmental Engineering Technology, Mechanical Engineering Technology, Metallurgy, Polymer Technology, Welding and Fabrication Technology. Biomedical Engineering Technology, Chemical Engineering Technology, Water and Environmental Engineering Technology, Mechanical Engineering Technology, Polymer Engineering. OND Civil Engineering and Water Resources Engineering. Computer Technology, Telecommunications or Communication Engineering, Power Systems Engineering, Control Systems Engineering, InstrUTMEntation Engineering, Biomedical Engineering. (i) First Degree from Physical Sciences at Second Class level may be admitted into 200 Level. (ii) HND in relevant Engineering discipline, at Distinction or Upper Credits level from or College of Technology after NYSC may be upgraded to 300 Level only. Candidate who passed Further Mathematics and Technical Drawing at Credits level stand at an advantage. (i) A’Level IJMB or approved equivalent Pass in Mathematics, (Pure or/and Applied), Physics, and Chemistry with a minimum of 8 points. Welding and Fabrication Technology, Wood and Paper Technology. Biomedical Engineering and Materials & Metallurgical Engineering. Civil Engineering, Building, Architecture, Water Resources, Agricultural Engineering. ARCHITECTURE HND Architecture passed at minimum of lower credit in addition to UTME requirements would be considered for admission into 200 level. Five SSCE credit passes at credit level to include English Language, Mathematics, Physics Technical Drawing/Fine Arts and one of Geography, Chemistry, Biology, Economics. English Language, Mathematics, Physics and any one of Geography, Biology, Fine Arts/Chemistry, Economics, Technical Drawing and Building Construction. ESTATE MANAGEMENT (i) Holders of OND certificate in Estate Management at Upper Credit level may be considered for admission into 200 Level. (ii) Holders of HND in Estate Management with Upper credit in addition to one above may be considered for upgrade into 300 level base on request. (a) Five SSCE credit passes in English Language, Mathematics, Economics and any one from Physics, Chemistry, Biology and any other one from Geography, Technical Drawing and Fine Arts/Visual Arts, Accounting. iii. Economics and one from Geography, Accounting Physics, Chemistry, Biology, Technical Drawing, Fine Arts, Building Construction or Marketing. Holders of HND in Estate Management with Lower Credit may be considered for admission into 200 level provided the candidate has at least lower credit in OND Estate Management. Drawing , Economics, Chemistry, Commerce, Building Construction and Biology are eligible to 200 Level. (ii) Holders of OND certificate in Quantity Surveying, Building, Architecture and allied professions at upper credit level may be considered for admission into 200 Level. AND GEOINFORMATICS (i) Two A” Level passes in Mathematics and Physics are eligible for admission into 200 Level. (ii) Holders of OND in Surveying and Geoinformatics with Upper Credit are eligible for admission into 200 Level. (iii) Holders of HND in Surveying and Geoinformatics with Upper Credit are eligible for admission into 300 Level. Five SSCE credit passes in English Language, Mathematics, Physics and any two of Chemistry, Geography. Further Mathematics, Technical Drawing and Elementary Surveying. English Language, Mathematics, Physics and any one of Geography Chemistry Technical Drawing Further Mathematics, Economics. Holders of HND in Surveying and Geoinformatics with Lower Credit may be considered for admission into 200 Level. URBAN AND REGIONAL PLANNING (i) Holders of OND in Urban and Regional Planning with Upper Credit are eligible for admission into 200 Level. (ii) Holders of HND in Urban and Regional Planning with Upper Credit are eligible for admission into 300 Level, In addition to (i) above. Five SSCE or its equivalent credit passes in English Language, Mathematics, Geography, and any two of Physics, Chemistry, Economics, Biology, Technical Drawing, Fine Art/Visual Arts and Tourism. English Language, Mathematics, Geography and any one of Physics, Chemistry, Economics, Biology, Technical Drawing, fine Art/Visual Arts and Tourism. Holder of HND in Urban and Regional Planning with Lower Credit may be considered for admission into 200 Level. Provided the candidate has at least lower credit in OND. (i) At least two A’ level passes in Arts or Social Science subjects. (ii) First Degree (Second Class Lower) of an accredited University. Five O’level credit passes to include English Language, Literature – in – English, Mathematics and any other two Arts or Social Science subjects. (g) Two year Diploma in Law of an accredited Government Institution with at least Upper Credit grade. (i) A Pass grade in O’Level Mathematics is required. Distinction, Credit, Merit and Pass – Credit grade is accepted for Direct Admission. (ii) UNILORIN accepts A’ level English Literature in lieu of Literature-in-English. Also accepts Commercial subjects. UNILORIN requires Literature-in-English plus any two subjects. COMMON AND ISLAMIC LAW (i) At Least A’ level passes or equivalent in Arts/Social Sciences subjects. (iii) Relevant degree of an accredited University. (iv) NCE with Arabic or Islamic Studies as major. Five O’level credit passes in English Language, Mathematics, Islamic Studies or Arabic and any other two subjects in Arts or Social Sciences. Arabic or Islamic Studies and any two other Arts/Social Science subjects. BIOCHEMISTRY UTME qualifications plus at least two A’ Level passes or equivalent in Biology, Chemistry and Physics Five O’Level Credit passes in English Language, Mathematics, Physics, Chemistry and Biology. English Language, Biology, Chemistry and Physics . ZOOLOGY UTME qualifications plus a minimum of two A’ Level passes in Biology and Chemistry. Five O’Level Credit passes in English Language, Mathematics, Physics, Chemistry and Biology. English Language and any three science subjects from Biology, Chemistry and Physics . Five O’Level Credit passes including English Language, Mathematics, Economics and any other two from Accounting, Business Methods, Commerce, Government, Geography and Statistics obtained from WAEC, NECO, GCE, IJMB and NABTEB. i. UNILORIN Diploma in Accounting and Data processing with Upper Credit pass. BUSINESS ADMINISTRATION (i) At least two ‘A’ level passes in Economics and one of Business Administration, Accounting, Statistics, Mathematics, Geography and Government. FINANCE (At least two A’ level passes (Not less than grade ‘C’) including Accounting and at least one of Mathematics, Business Management, Economics, Statistics, Geography and Government. Five O’Level Credit passes including English Language, Mathematics, Economics and any other two from Accounting, Business Methods, Commerce, Government, Geography and Statistics. English, Mathematics, Economics and any other Social Science subject (a) Diploma in Financial Studies with Upper Credit from Unilorin. In addition to meeting UTME. requirements. Mathematics, and one other social science subject UNILORIN accepts the (i) Unilorin DIPLOMA in Marketing and (ii) Ordinary National Diploma (OND) in Marketing with Upper Credit from recognized Institutions In addition to meeting UTME requirements. INDUSTRIAL RELATIONS AND PERSONNEL MANAGEMENT At least two A’ level passes including Economics and one of Business Management, Accounting, Statistics, Mathematics, Geography and Government. Five O’Level credit passes including English Language, Mathematics, Economics, and any two from Accounting, Business Methods, Commerce, Government, and Geography. English Language, Mathematics, and two other social sciences subject. (a) Diploma in Management Studies with Upper Credit from Unilorin. (b) ND in Industrial Relations & Personnel Management OR Human Resource Management with UPPER CREDIT from any recognized institution in addition to meeting UTME. requirements. In addition to meeting UTME requirements. 2018 Post UTME: Will it be Exams or Admission Screening?